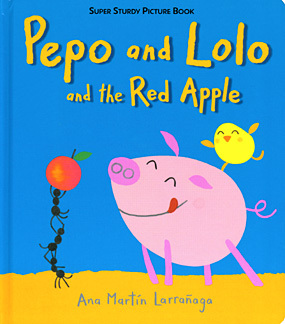 Today we celebrated all things porcine in storytime! Pattern taken from clip art. 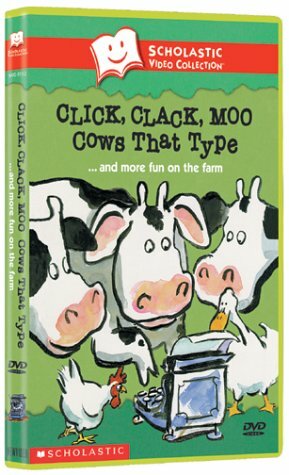 Song from Preschool Education. …mouth of a pig goes oink, oink, oink. 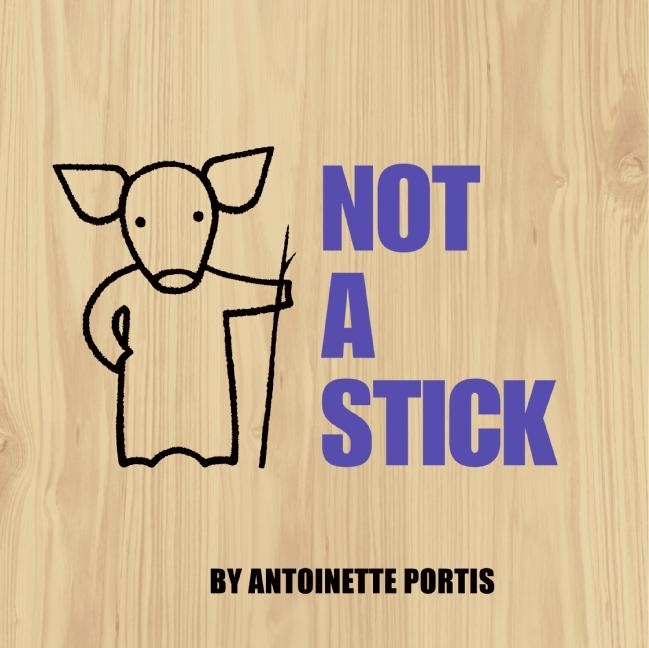 …snout of a pig goes root, root, root. 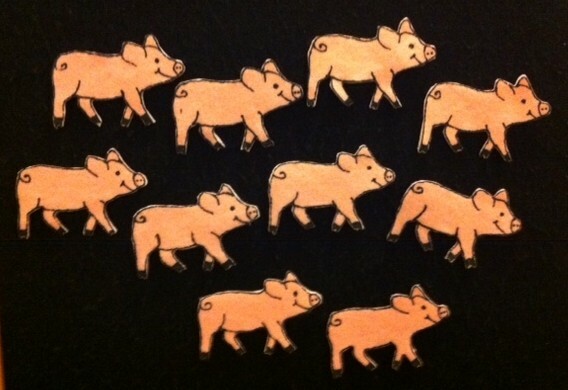 …hooves of a pig go run, run, run. …ears of a pig go twitch, twitch, twitch. 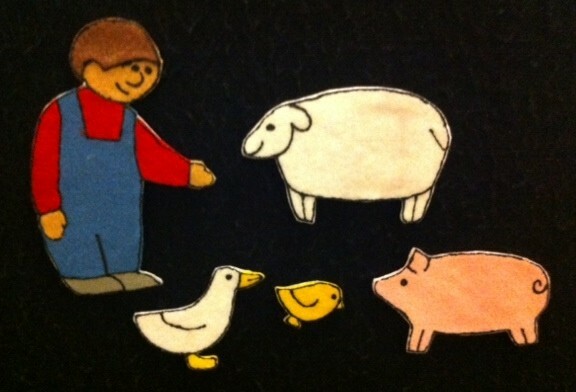 I put up a flannelboard pig and pointed to the different parts as we sang about them. A pig flew up in the air! Today was a good storytime day. It felt like things went a lot more smoothly than it did last week. Maybe it’s just getting back into the routine of things again, both for me and the babies. 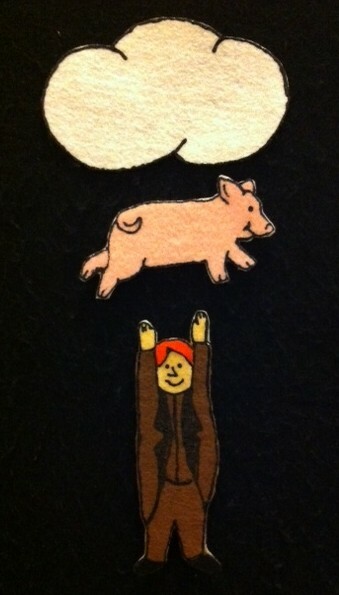 I had made that beautiful pig for the Tail of a Pig flannelboard, but then left it on my desk! So I used a different pig, but we still sang the song. Sometimes, it’s helpful to have a storytime theme in your back pocket that just is always a go to theme. 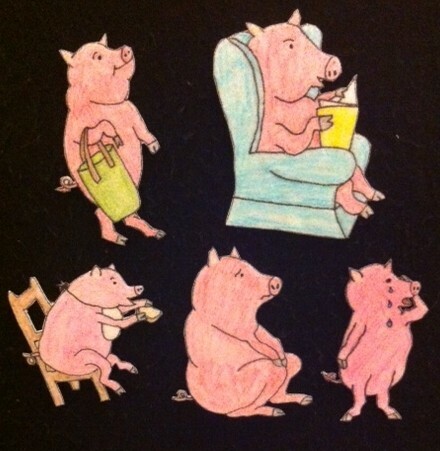 For me, that theme is often about my perfectly porcine pals – pigs. “Wee Wee Wee” all the way home. 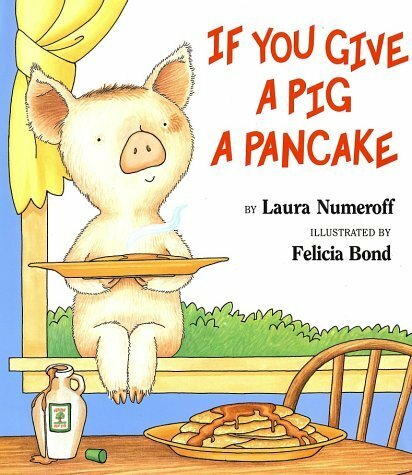 Piggies are always fun storytime topic! 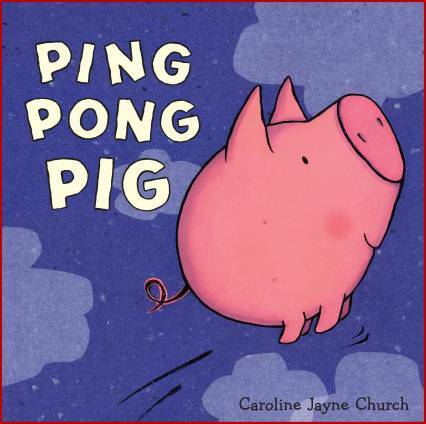 And they are especially fun for infant storytime, because there are so many great rhymes and bounces involving pigs or “piggies” to do! 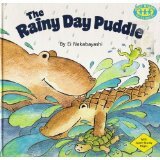 I really enjoyed this storytime, because there were so many ways of making it interactive. 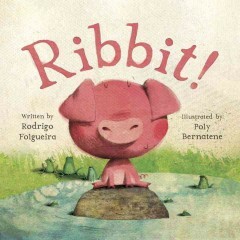 When reading Piggies I encouraged all the parents to do the motions with their child. We did Dickery Dickery Dare as a bounce where you lift the child up in the air. And of course we did This Little Piggy as a fingerplay along with the flannelboard. With all the bouncing and lifting, parents got a workout with their children today! And squealed and squealed till they went to sleep. Then you really ought to show it. I had a mix of ages for this storytime. 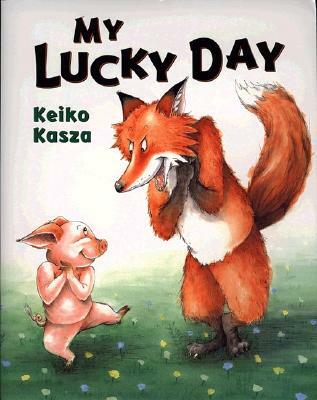 I thought since there were some older kids in the audience I would start with My Lucky Day and see how that went over, especially since it is one of my favorite books to read-aloud. But I think that was too long for the group as a whole, and one of the younger girls in the group kept getting really scared whenever the pig got into the roasting pan. So after I finished that one I went into a fingerplay and then the flannelboard This Little Piggy so that things could be a little less terrifying for the audience. 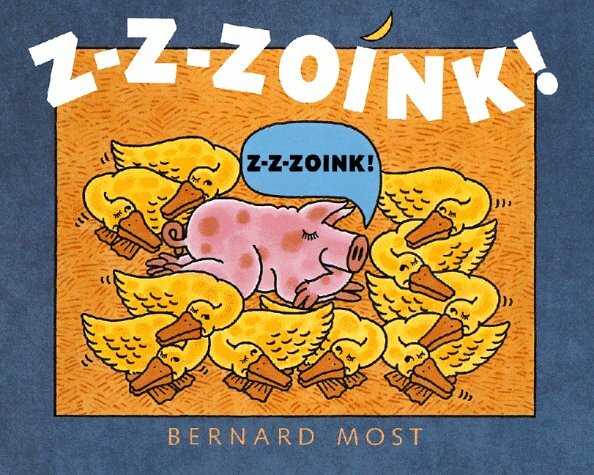 I thought Z-Z-ZOink! 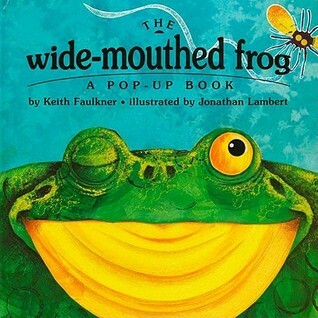 was a really good read aloud. Also, “The Pigs’ Wedding” might be a bit of an older video as well, but it is just so fun.